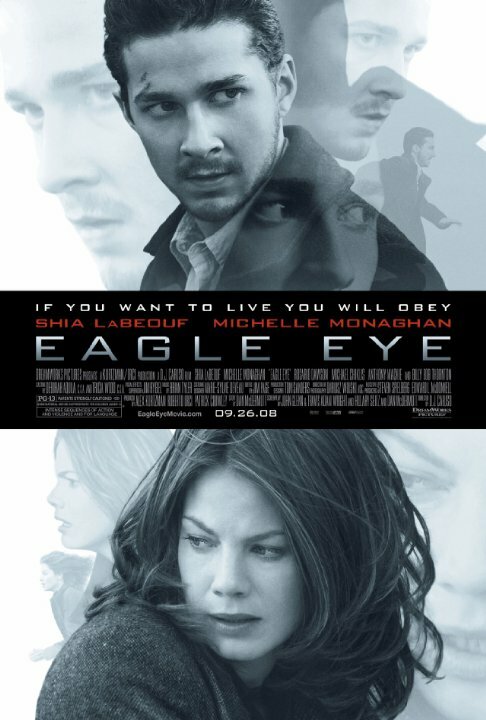 Part Enemy of the State and part Wargames, Eagle Eye is an on-the-run action thriller that derives its entertainment value from its first-half surprises to the noisy backside technology driven chase scenarios. The action works well with elaborate set-pieces and frantic periods of suspense. And the high-powered cast seems well-placed; viewers who already like LeBouf will continue to do so here while Rosario Dawson, Michael Chiklis and Billy Bob Thornton are as good as expected. Is this sort of predictive dark technology is even possible today? The concept may seem silly to more technologically aware viewers but I'm in the Air Force..... And yes it is. The final result seems to be a hyperactive, superficial techno-thriller only appropriate for viewers who, like myself, are willing to embrace the "fantasy".